In the words of Noddy Holder, it’s Christmas! Love this time of year so much! I spent Sunday making the house look festive and indulging in a little bit of Christmas baking! 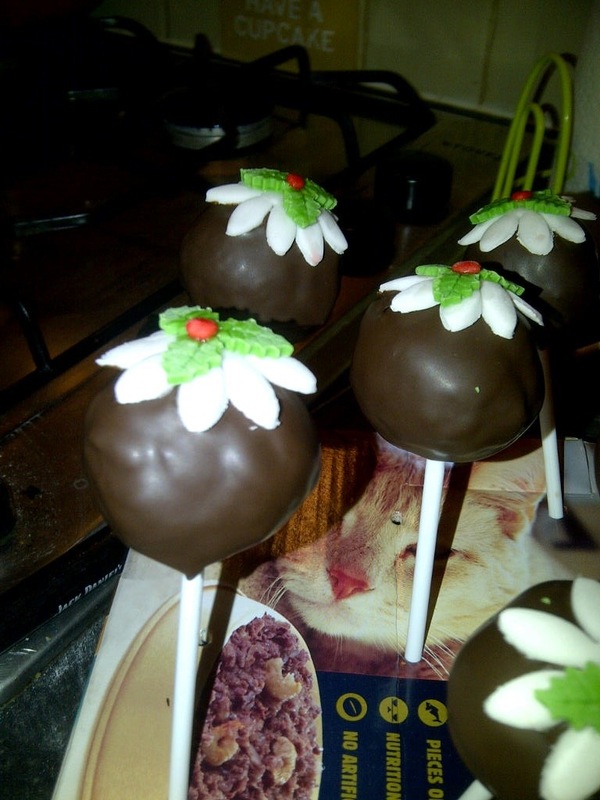 After a batch of mince pies I decided to use up some of the boyfriend’s birthday cake leftovers and turn it into some cake pops! I started out with my left over chocolate fudge cake then added chocolate Philadelphia until I got a mouldable consistency. I use the processor to whizz the cake into crumbs but add the Philly by hand as I find it is easy to add too much making a very wet cake pop. I find the Philly is less sweet than buttercream, but either works ok. Cake pops are a great way of using leftover buttercream or cakes which haven’t quite worked out the way you planned! 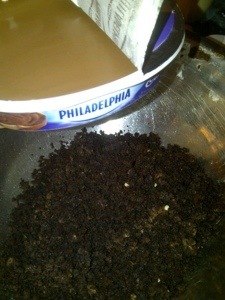 Once you have your mixture, roll it into balls and put it in the freezer for 15 mins to firm up. I cannot stress enough DO THIS! It will not work otherwise! Once you have removed them from the freezer dip the sticks into chocolate or candy melts then insert into the balls, then freeze again for 5-10mins whilst melting your coating. 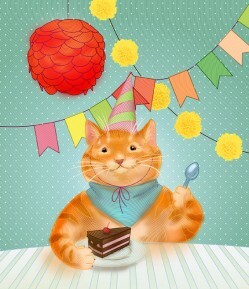 For mine I used chocolate flavoured coating by Silverspoon as I personally find Candy Melts too sickly. 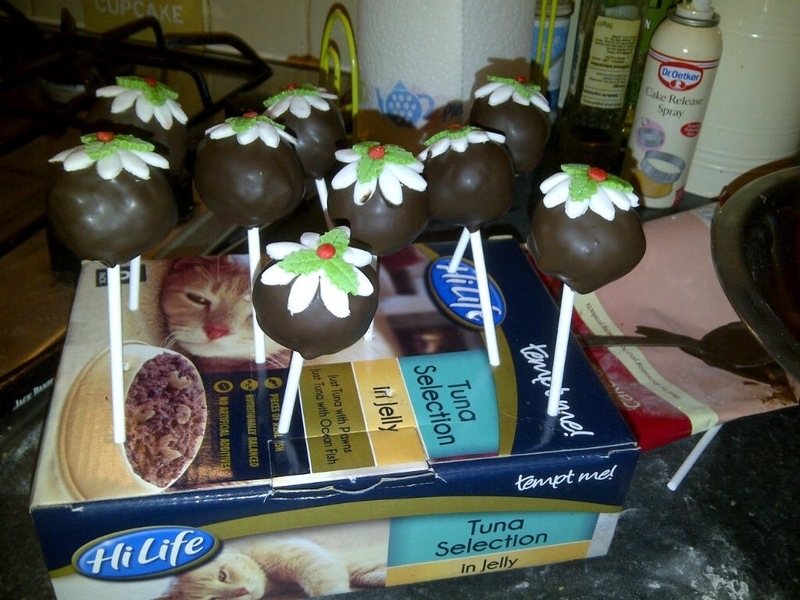 I would recommend having a box with some hole in or some polystyrene to put your cake pops in to dry. You can buy stands but it really depends how often you think you will use it. A box does the job! 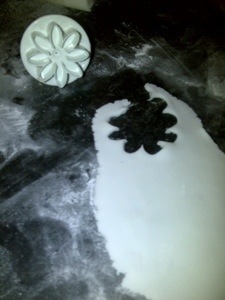 I like indulging in a bit of sugarcraft, it is very therapeutic! 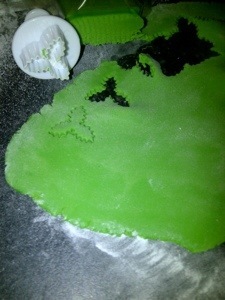 You can get so many cutters now and every colour of icing under the sun! 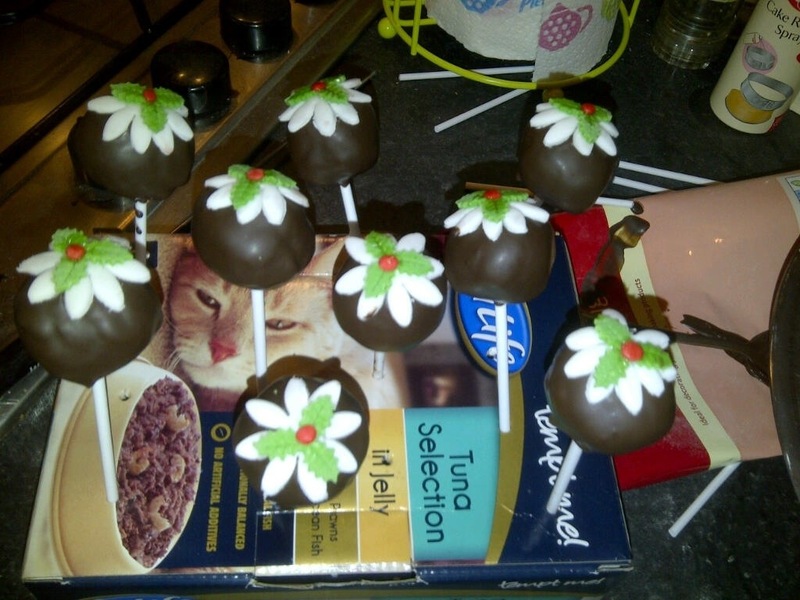 As you can see I added some white icing to look like cream and some holly to turn mine into Christmas pudding cake pops! I got the plungers from eBay. The icing is Renshaws, it rolls out really well!